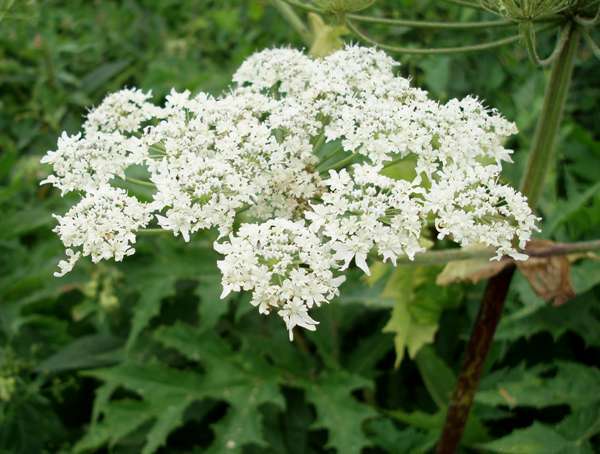 This invasive plant, originating from the Caucasus Mountains between Turkey and Russia, is not only a threat to other wetland and riverside flowers but also to people: the hairs on the stems and the undersides of the leaves carry poisonous sap. Brushing against this plant can leave you with large and very painful blisters. 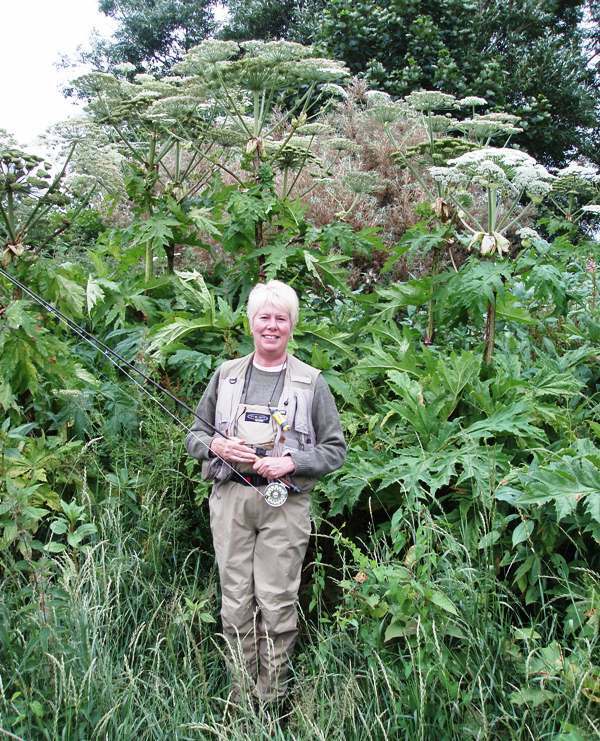 Giant Hogweed can reach a height of five metres and has flower heads up to half a metre across. 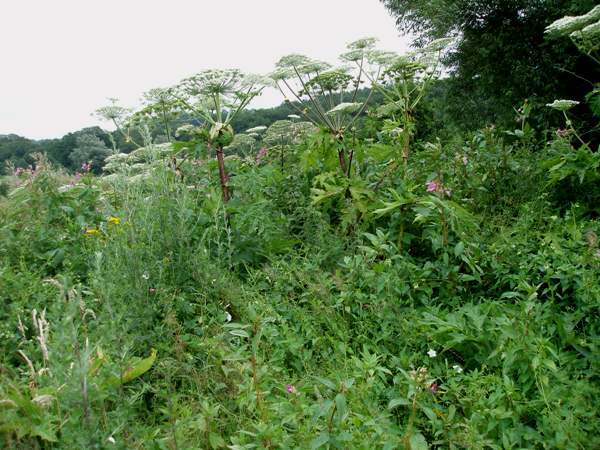 In Wales parts of the Usk and Wye Valleys are already suffering serious encroachment by Giant Hogweed; this is particularly worrying in view of the number of children who enjoy rafting and canoeing on the public navigation section of the River Wye below Hay-on-Wye.